CRESCO Legal Holding, based in the United Arab Emirates, is the holding company of various international Legal offices across the Middle East, Asia, Europe and Latin America (LATAM) and North America. With a stronghold in Asia, the law firms cover one of the most dynamic economic markets for the years to come. We are ready to serve you, internationally and locally. Although CRESCO Legal is global the local base is pivotal. That’s why we are foremost “The global firm“. Our strength is our knowledge of the local and regional legal markets and their different law systems, be it civil, common or sharia law. Over the years we have advised various companies financial entities, private clients in their international affairs. Our combined know-how gives us a strong stand in taper lawyers embedded in different locations. CRESCO Legal offers legal support in all major fields of law, not only including the traditional fields like trade, corporate or commercial but also insolvency law, trade marks and arbitration. We witness an increasing specialisation to accommodate for the divergent needs in the different sectors and industries, hence we cover most of the sectors and industries as you would expect from a global company with a local stronghold. Not all our offices offer services from all the sectors by themselves, they are specialised in the sectors most demanded at their location and offer this knowhow to other offices. The structure of CRESCO Legal allows a seamless access to the expertise of the lawyers within the global network, providing the clients with a brand choice of services yet still have a high level of specialisation. Nowadays legal transactions are not confined to one country or one jurisdiction but rather cross boarder. The world is not a village of independent houses but is a highly interlinked network, where business processes often pass boarders and where investments are done globally and not limited to one country. CRESCO Legal offers legal services on a global level thanks to its presence in Asia, Europe, Latin America, Middle East and North America, helping companies to overcome the burden of engaging and coordinating law firms in different jurisdictions and barriers, allowing a flawless handling of modern international legal requirements. By bridging the gap CRESCO Legal serves as a network capable of handling many or all clients needs across disciplines and geographies, which in turn creates tremendous efficiency in terms of consistency, quality, speed and overall value. market sectors and offices and exhibit its potential to use accumulated and distributed experience to avoid all cross boarder problems for the client. In broad terms the world is dominated by three big legal systems: civil, common and sharia law. The first one originates from Roman Law and is predominant in Continental Europe, the Russian Federation, Central and South America and in former colonies of France, Netherlands, Spain and Portugal. Its main characteristics are codified legislation. The second one is to be found in the United Kingdom and Ireland as well as North America, Australia, New Zealand, India and other former colonies of the British Empire. Its main characteristics is judge made precedent law. Common law is based on broad principles. The third one is to be found in all Arabic speaking countries, the Middle East and North Africa (MENA); its main characteristic is that it is considered legalisation based on the principles of the Quran and has a divine character. The most interesting countries are the ones with combined systems as in; Scotland, Malta, Cyprus, Quebec, Louisiana (USA), UAE, South Africa and some islands in the Caribbean and Indian Ocean. Often one believes that lawyers only have experience in one legal system in which they are educated, but at CRESCO Legal our lawyers have a wide knowledge and understanding of all the three legal systems which makes CRESCO Legal unique and versatile in its sort. 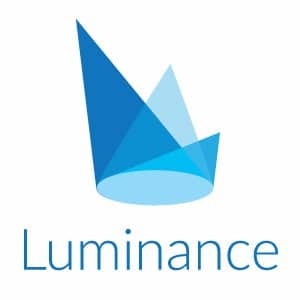 CRESCO Legal is proud to announce, that it has closed an agreement with the UK based firm Luminance Technologies Ltd. for the use of their artificial intelligence powered software Luminance. Luminance is the leading artificial intelligence platform for the legal profession. The revolutionary technology is founded on the latest breakthroughs in pattern recognition and machine intelligence. Today, corporations are drowning in documents and it becomes increasingly difficult to keep-up with tracking of deadlines, monitoring risks and claiming of warranties. Sophisticated machine learning systems, however, are incredibly good at digesting data and will help the team of CRESCO Legal to provide an accurate and efficient support when dealing with high amounts of contracts. CRESCO Legal is happy to have found such a reputed software provider for its first implementation of artificial intelligence in the business processes. New products and services will be developed to allow clients to profit from the implementation of this new technology.